Through the first eight months of 2015, auto sales are up 4% to 11.6 million units, with the prospect of more than 17 million new vehicle sales now appearing like a highly likely outcome. Not since 2001 have American consumers, businesses, and governments bought and leased more than 17 million new vehicles. Which vehicles are carrying the load? America’s 30 most popular new vehicle nameplates account for half the new vehicle sales in the country. Here’s a look at the most popular vehicles across different industry sectors through the first eight months of 2015: cars, SUVs/crossovers, pickup trucks, vans, premium cars, and premium utilities. 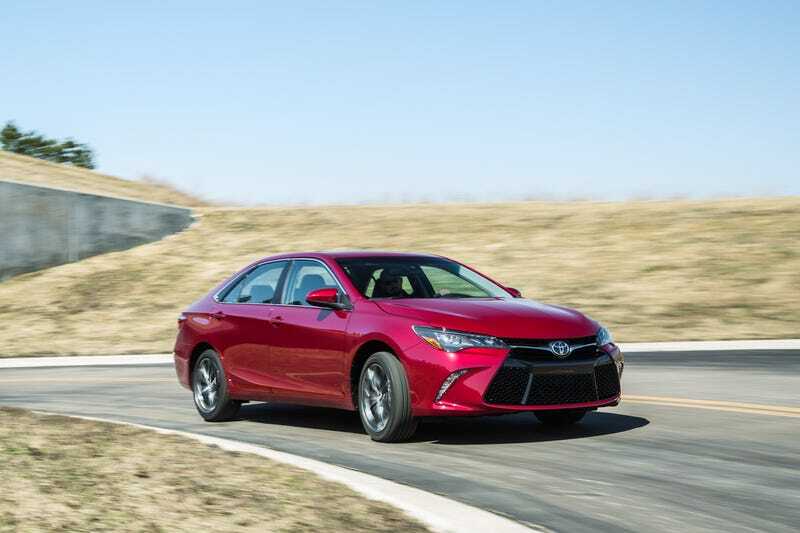 The Toyota Camry leads all passenger cars in America, including the second-ranked Toyota Corolla. Overall car volume slid 10% in August and is down 3% through the first eight months of 2014. Cars accounted for 49% of all new vehicle sales in America between January and August of 2015. That figure tumbled to 46% in 2015. Honda’s CR-V, which now challenges the Accord for Top Honda status, has been America’s top-selling SUV/crossover in each of the last twelve months. With sales of its nearest rival, the Ford Escape, sliding 2% this year, the CR-V’s position atop the 2015 leaderboard appears secure. The CR-V first became America’s most popular utility vehicle in 2007 and held on to that position in 2008, 2009, and 2010 before losing it to the Escape in 2011 and grabbing it again in 2012, 2013, and 2014. Through the first eight months of 2015, the Ford F-Series is America’s best-selling pickup truck family and best-selling vehicle line overall. F-Series volume is down marginally, however, even as America’s pickup truck category grew 10%, year-over-year. GM’s full-size twins have outsold the F-Series by more than 34,000 units so far this year. After a shutdown for retooling at their Windsor, Ontario, factory, U.S. sales – particularly of the fleet variety on which they depend for much of their volume – of the Dodge Grand Caravan and Chrysler Town & Country tumbled in the early part of 2015. Minivan sales are down 14% this year, and the FCA twins have seen their share of the category slide from 49% at this stage in 2014 to 32% in 2015. Combined, they’re still outselling the class-leading Toyota Sienna. Honda’s Odyssey, a van with which we’re well acquainted, has led the minivan segment in each of the last two months. The Ford Transit has been America’s top-selling commercial van in each of the last ten months. Total commercial van sales are up 11% this year as the small, Transit Connect-led category up 36% and the Transit-led full-size sub-segment up 5%. The BMW 3-Series continues to lead all premium brand cars – all premium brand vehicles, for that matter – in terms of U.S. sales. BMW has also sold 31,036 copies of its 3er offshoot, the 4-Series, a 33% year-over-year improvement. As Lexus prepares to launch a new RX, the outgoing model is still America’s favourite premium SUV/CUV. RX sales have declined by 6600 units over the first eight months of 2015, but Lexus has also added 28,834 sales of its NX, which was unavailable at this stage last year.